A range of rugged, waterproof, roll top tarpaulin dry bags which are perfect for keeping your equipment dry or keeping wet equipment apart from other belongings. 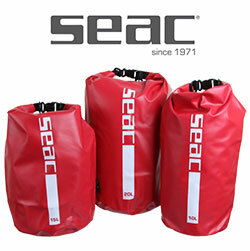 Available in three sizes: 10 litres, 15 litres and 20 litres, all have convenient adjustable shoulder straps and 3 anchor points. There are instructions printed on the top of each bag, on how to roll the bag correctly to ensure a water tight seal.